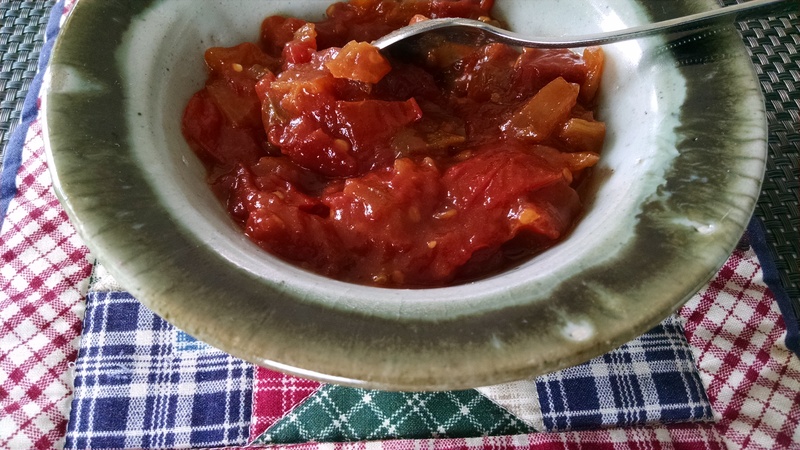 Inside a booklet that promised nothing more than Great Ideas for Barbecues & Summer Meals (Family Circle, 1983), I ended up finding a recipe for Thomas Jefferson’s Candied Tomatoes sent in by someone I knew quite well — the mother of my closest childhood friend in Richmond, Virginia. Mrs. Blankenship led our Girl Scout troop and once stayed up half the night to soothe shrieking 11-year-olds who glimpsed a mouse in our cabin. I don’t remember much about her cooking, as my friend, Susan, and I preferred pizza kits and snow ice cream to anything Mrs. Blankenship made. Yet I wanted to try this recipe as a way to honor them both. Sadly, Susan passed away from cancer just two years ago; her mother died many years before that. I still remember a view from their kitchen window of the trampoline in the back yard, which held far more appeal to us than the stove. I couldn’t find any historical link between Mrs. Blankenship’s recipe and Thomas Jefferson himself. Yet Monticello, Jefferson’s home in Virginia, does note that he planted tomatoes in all the years that he kept his garden (1809-1824). Maybe the connection comes from oral history. 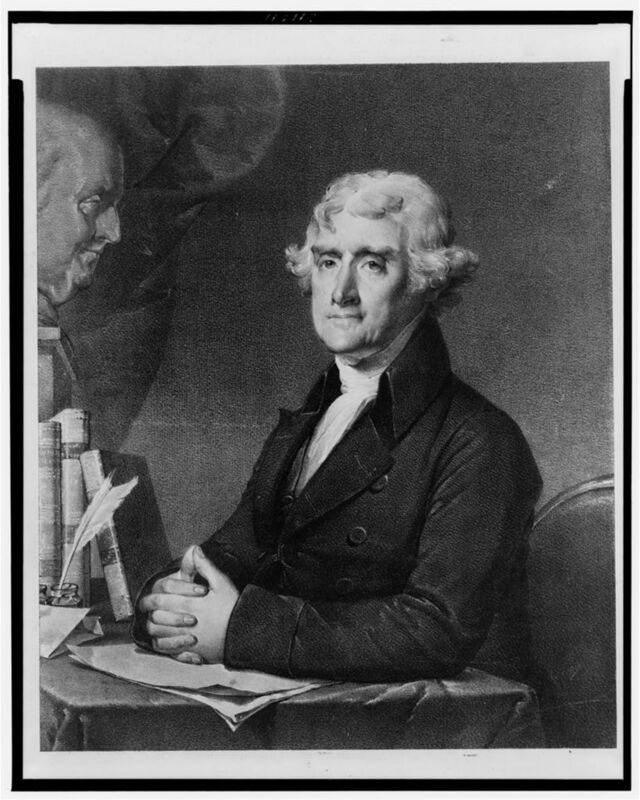 After all, I heard about Jefferson’s African-American descendants long before published reports on the subject. 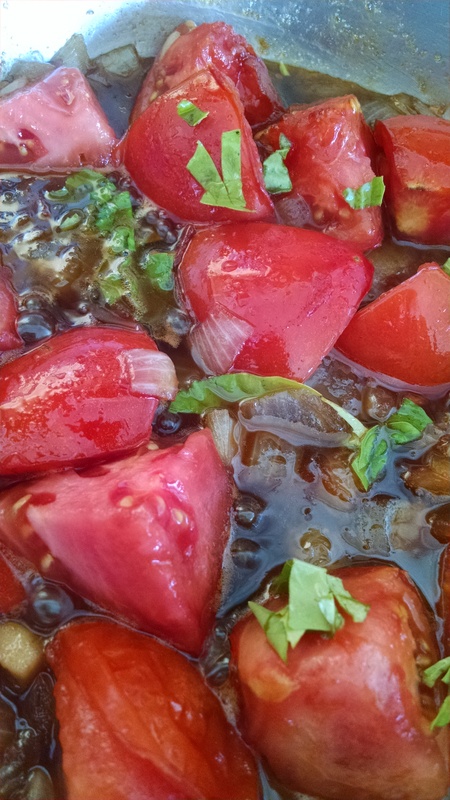 No matter the recipe’s true origin, the sweet-and-savory combination reminded me of chutney. I adapted the recipe a bit to make a smaller quantity, then served it with grilled chicken. It could easily be spread on a cheese sandwich or go with a bowl of rice. As it cooked, the lingering aroma of caramelizing sugar reminded me of my Virginia roots and two beloved people from my past. Melt the butter in a cast-iron skillet and brown the onion. Add the tomatoes, sugar, salt and basil. Simmer over low heat for approximately 2 hours, stirring occasionally, until most of the liquid evaporates and the mixture becomes sticky. Cool and serve as a condiment. Keep leftovers in a glass jar or another covered container in the refrigerator. This entry was posted in cookbooks, Food, history, memoir and tagged 1800s, basil, brown sugar, Girl Scouts, Monticello, Richmond, Thomas Jefferson, tomatoes, U.S. Presidents, Virginia. Bookmark the permalink.